One of the great myths about the Android operating system is that because it's open you can update it any time and put anything you want on it. Of course you can if you actually have an interest in these things but "normal people" simply don't do that. They wait for an over the air (OTA) update. However unless you have actually got a Google device such as the Nexus 5X then your Android is really the manufacturers Android. Manufacturers often need to provide their version of Android not the generic one to actually differentiate their device in a crowded "me too" market. Then the carriers themselves have an issue. Your contract phone is locked to a carrier. They are not interested in keeping your 2 year old phone up to date. They want you to pop into their store and get a brand new phone for fear you might unlock the phone you paid for and defect to a better deal. Keeping your existing phone on an old operating system is an opportunity to sell a new phone. If the carriers get their arms twisted by a big player like Apple (for example) then they will let those updates through. So the consequence is that Android enthusiasts have to go through multiple configuration changes and downloads to update their phones with the latest Google OS. Normal people just have old versions of Android as this article explains; Most popular Android 2 years old. The myth of Android is that openness means frequent updates. For the majority of customers this simply doesn't happen. For the tech savvy it's a pretty complex update of rooting phones and updating. Microsoft have had this issue too. 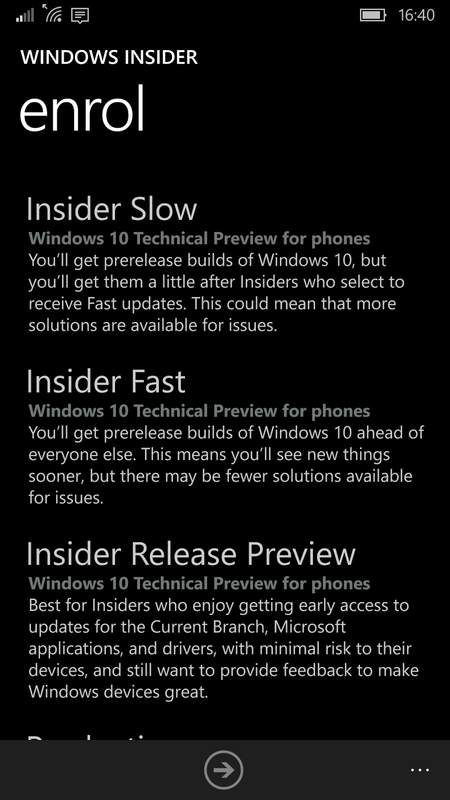 Not only are the carriers not interested in Windowsphone devices in their stores they are also not interested in updates. With Android devices a "no brainer" for a quick profit by retail sales staff Windowsphone has never gained traction and Microsoft had no leverage to do updates. The Microsoft solution was rather elegant. They let everyone become a developer via their Windows Insider scheme. 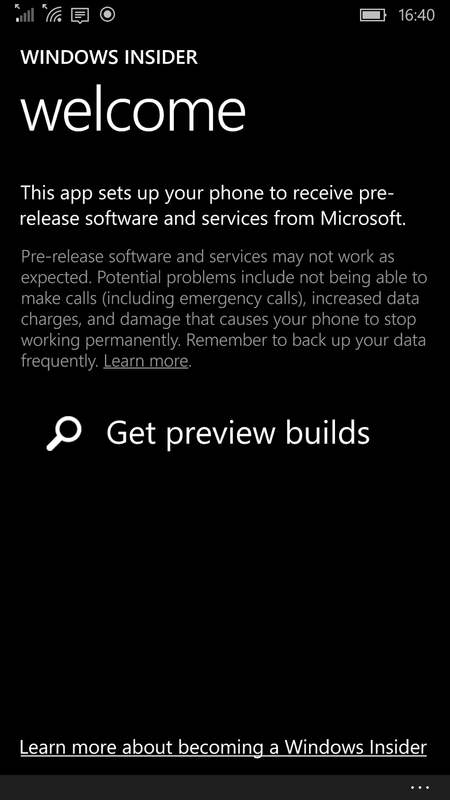 For the majority of Windowsphone users this just means downloading an app. 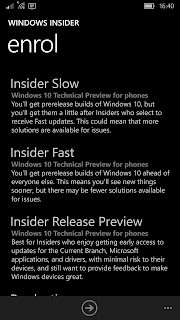 Once you download your Windows Insider app you just need to join the programme and you will get one of the OS preview builds. 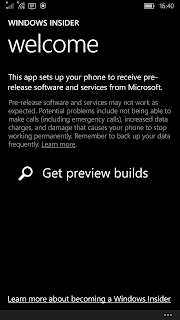 With very little effort you can setup OTA updates of the Windows 10 Mobile OS. The enrol screen allows you pick a 'ring' to receive builds. Real developers who want the latest build will opt for the fast ring. They will probably set up a special phone to do this in case the version they download introduces a whole bunch of bugs. Other people can go for the slow ring, release ring or just for actual production ready versions. Microsoft have made a virtue our of being the smallest mobile OS by introducing apps that make it really easy to get the latest version.